this park is clean with very clean restrooms but you can hear all kinds of highway noise. it is on the south side of town and with the location comes the noise.it doesn't have a pool or hot tub and with that in mind felt it was priced too high for what was offered. I was there 2 days and if in the area again would seek out other arrangements. 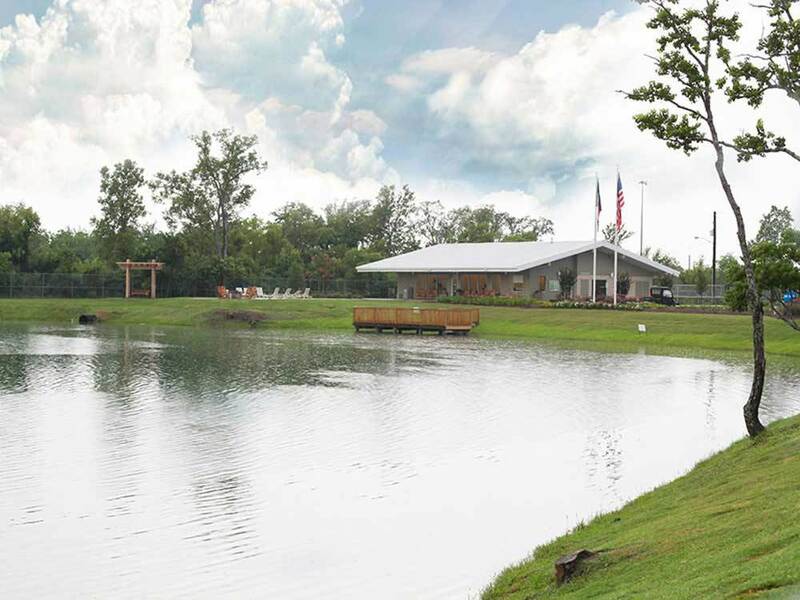 Southlake RV Resort is easily accessible from South Freeway/288 via the Almeda-Genoa Rd exit. Hycohen Rd is a little narrower than a two-lane which can be a bit off-putting to newcomers but we never experienced any issues while coming and going each day or when travelling in and out with the truck and trailer. I was very thankful to find that Southlake RV Resort had one back-in site available when I left a nearby rv park due to a pile driver doing highway construction (a football field away from the site I was assigned) waking me at 5:15am the first morning of my vacation. I paid $53.00/night with the Good Sam Club discount. This was my second stay (the first was in 2014) and it was as comfortable and pet-friendly as I remembered. The staff were welcoming and attentive during our stay. I'm a mosquito magnet which can make for an unpleasant stay in Houston in July. I was fortunate that the park had one of their regularly scheduled fogging scheduled a couple of days after I arrived which is why I never had an issue with insect bites during any point of my stay. I can't give any insight to the amenities as I didn't avail myself of any - most of my time was spent out and about spending only a bit of time in the mornings and evenings in the rv park itself during both of my visits. The grounds were well-maintained and several small grassy areas available for pets to eliminate with poop bags and trash can provided. I never had an issue with noise from either other campers or the nearby freeway.